The Environmental Monitor, an online magazine for environmental professionals, recently featured our lab’s TDS research in the Appalachian coalfields. In an attempt to gain a clearer understanding of long-term TDS levels, the researchers obtained additional funding from U.S. Office of Surface Mining to expand their monitoring. 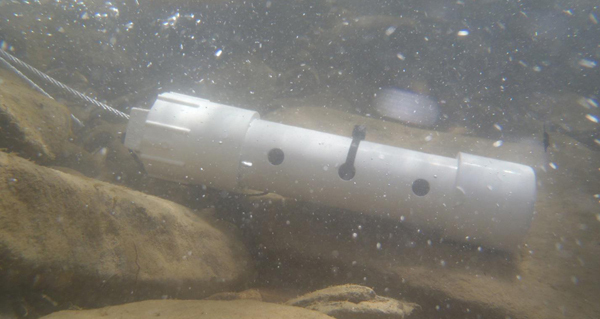 The research program now measures specific conductance–a surrogate for TDS–every 15 minutes in 27 streams with Onset HOBO U24 conductivity loggers. They’re also sampling macroinvertebrate communities once a month. The continuous and higher-frequency monitoring will contribute to a clearer understanding of the mechanisms through which dissolved solids affect macroinvertebrate populations. The data could help answer important questions about the timing of TDS exposure and the structure of state macroinvertebrate monitoring programs.